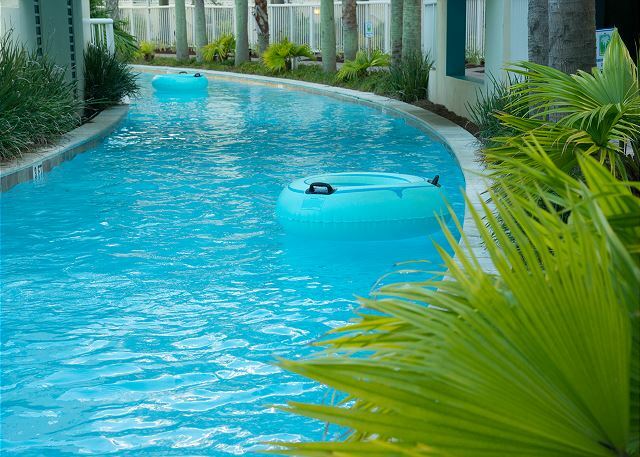 Steps to the Lazy River with space for everyone! 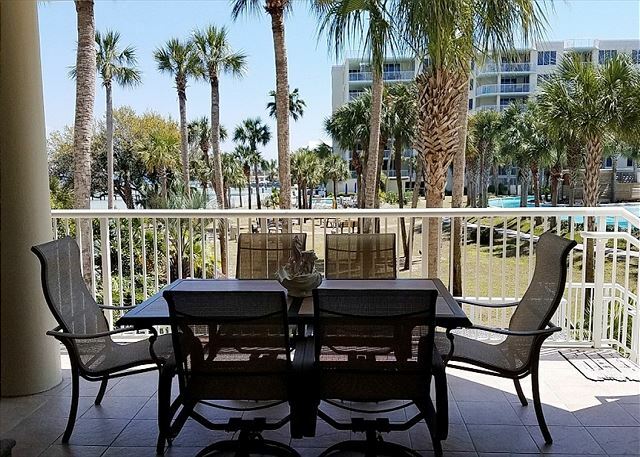 Heron L04 is a beautiful Lanai unit is perfect for families with small children, two families, or multi-generation families. 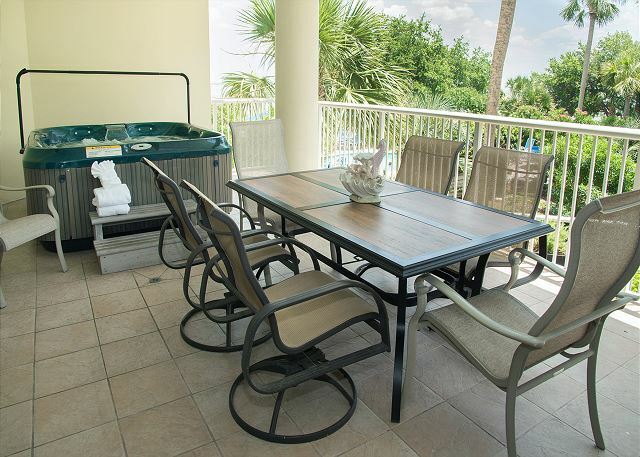 You'll enjoy the upper covered patio with Jacuzzi and al fresco dining. 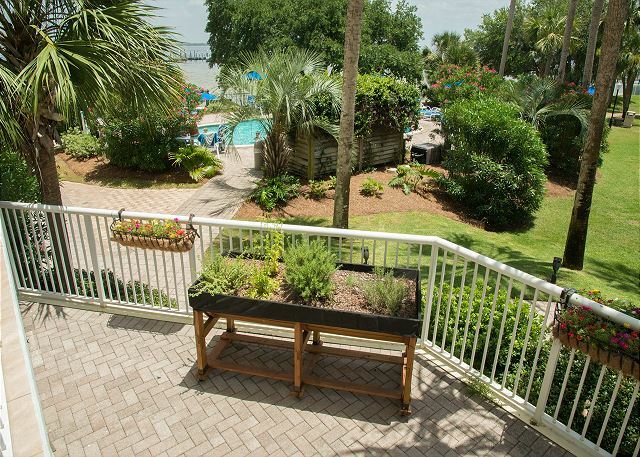 A few steps own is the lower patio with gas grill, an herb garden , and lounge chairs. 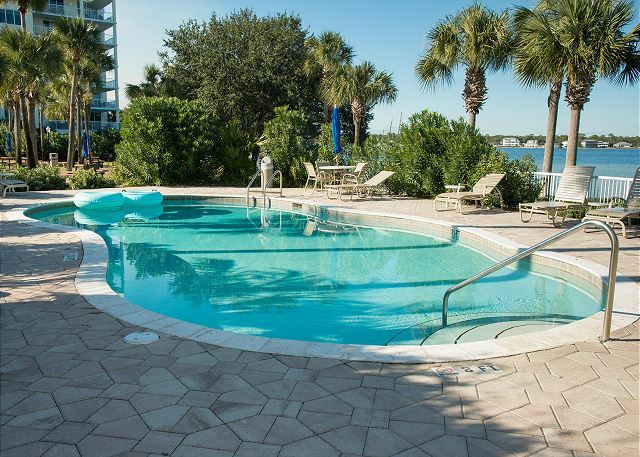 From there, a gate provides safety and easy access to the pools, Lazy River, play areas, and Choctawhatchee Bay waterfront. Inside, the living-dining area includes a large HD TV with Blue Ray player and queen sleeper sofa. A double power recliner lets you relax after a day in the sun. 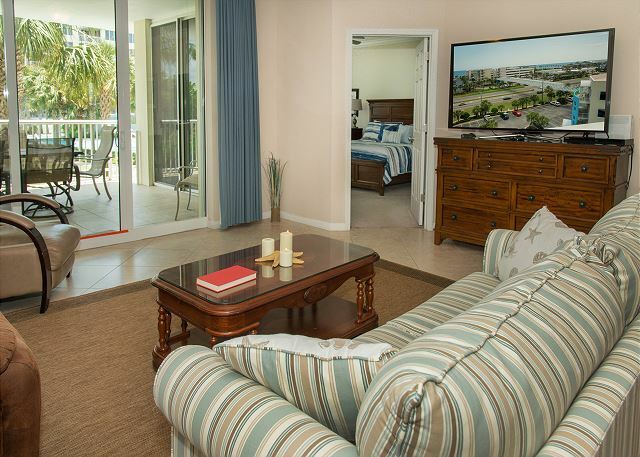 The master bedroom has a king size bed and sliding glass doors to the patio. 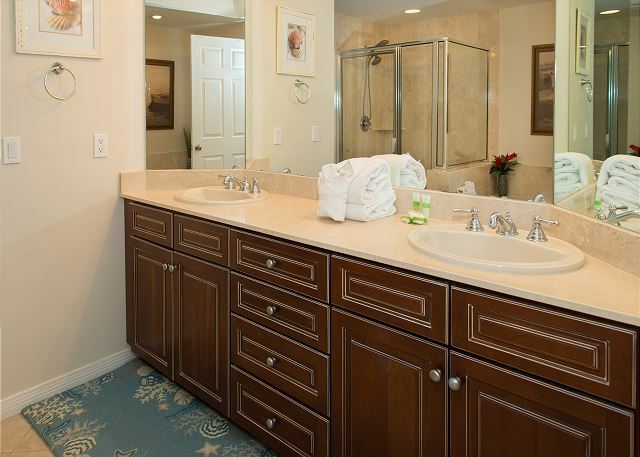 Its adjoining bath has double vanity, whirlpool bath, glass walled shower, and walk-in closet. 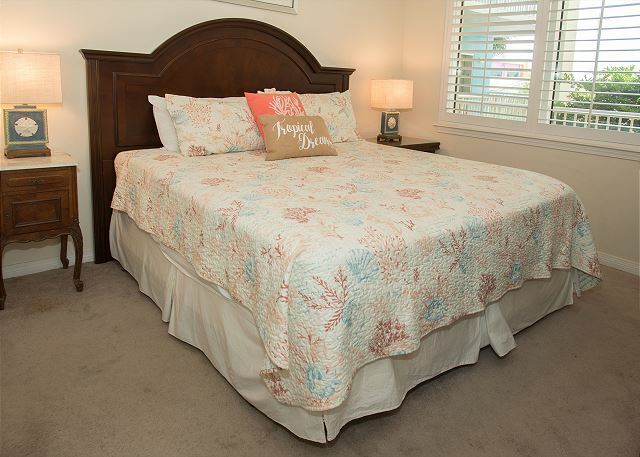 A second bedroom also boasts a king size bed and large closet. The third bedroom, with full size bed, twin bunk, and twin trundle, is perfect for kids, and includes a counter top pass-through into the kitchen. 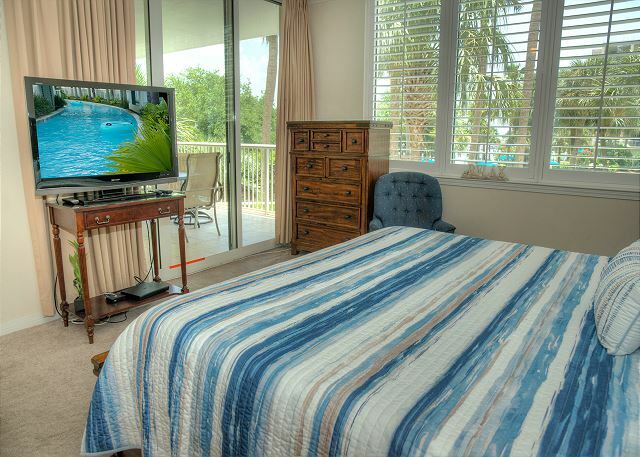 All bedrooms have flat screen TVs and DVD players. 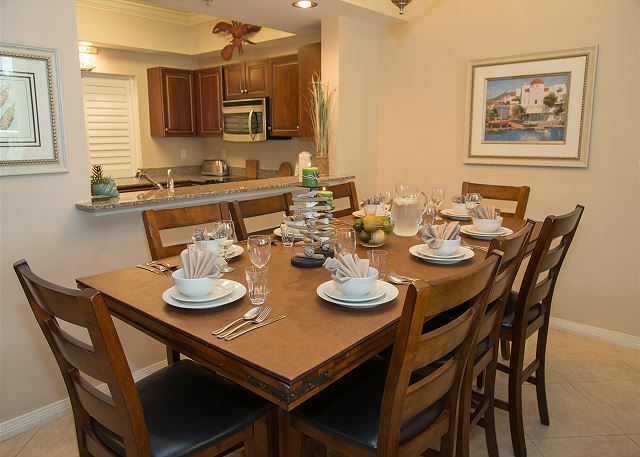 The well equipped kitchen includes Keurig and Mr Coffee coffeemakers. There is a large bar top cutout from kitchen to the dining area, allowing full view of the living area and outside patio. 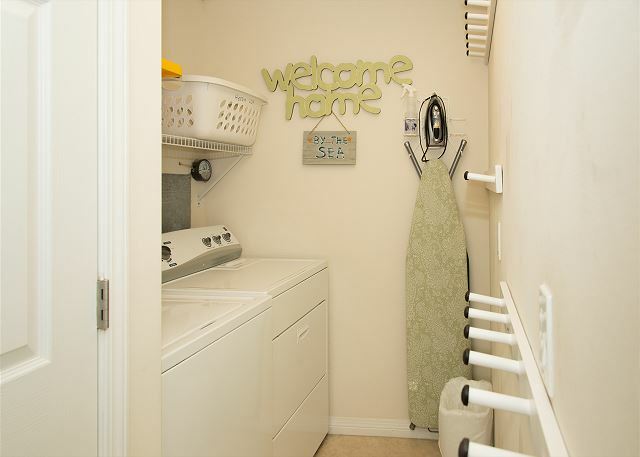 Across from the kitchen there is a full size laundry room and a second bath with tub and shower. 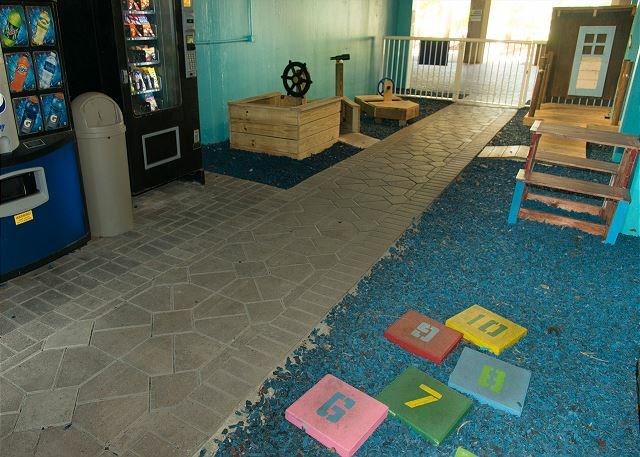 Elevators, covered parking, and utility carts facilitate loading and unloading. 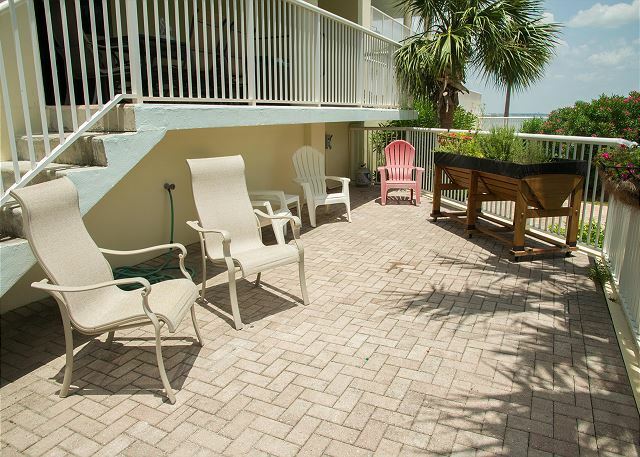 There is pedestrian bridge to the Gulf beach and additional Gulfside pools as well as Island Hotel amenities. 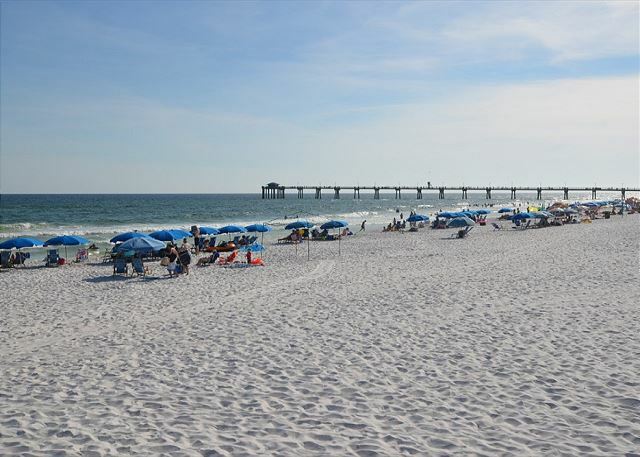 Within walking distance are The Boardwalk, Gulfarium, Wild Willie’s Adventure Zone, Island Water Sports, and many restaurants and bars. 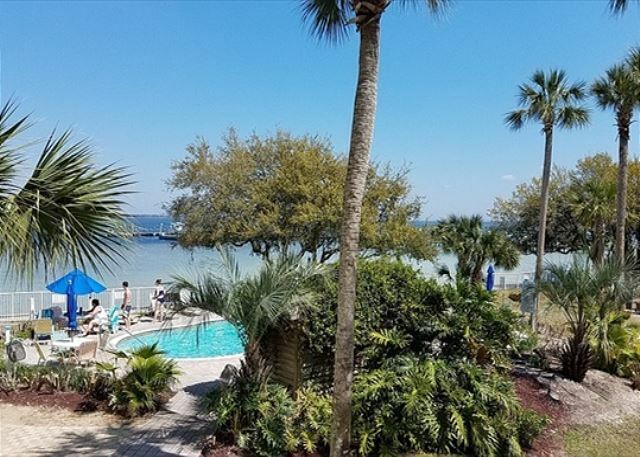 Whether it’s quiet beach time or vacation packed days and nights, here you’ll find something for everyone. We loved the condo. It was clean and spacious. 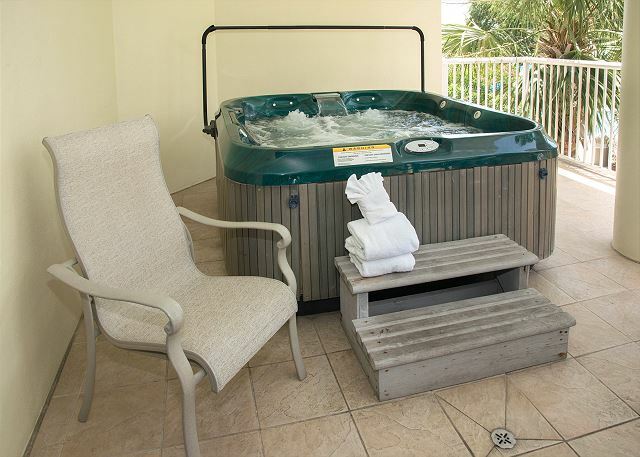 Loved the hot tub on the balcony and the heated pools - it was cool the week we were there. The weather could have been better, for my time there. But the place is great and a short walk to the beach. A short drive to the stores. 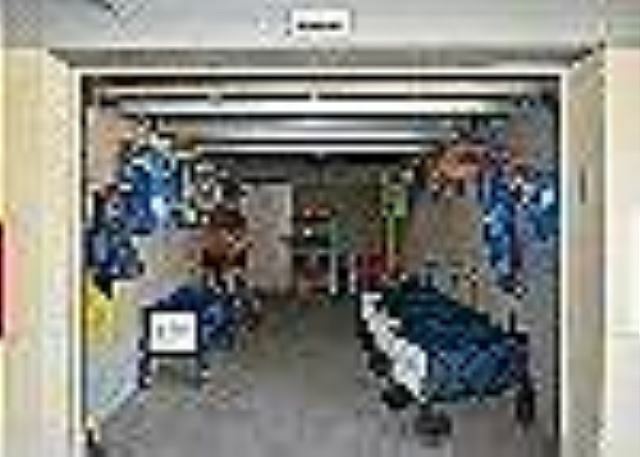 Large bedrooms and place for a family. I favorite place to go the heated pool. for next year hope to go back. Dear Ms. Brow, Thank you so much for this wonderful review of Heron L-04! We love hearing about our guests' experiences in each unit and are so pleased to know that you loved your visit! We certainly hope that you'll make it back next year! We'll be here to help you book whenever you're ready! 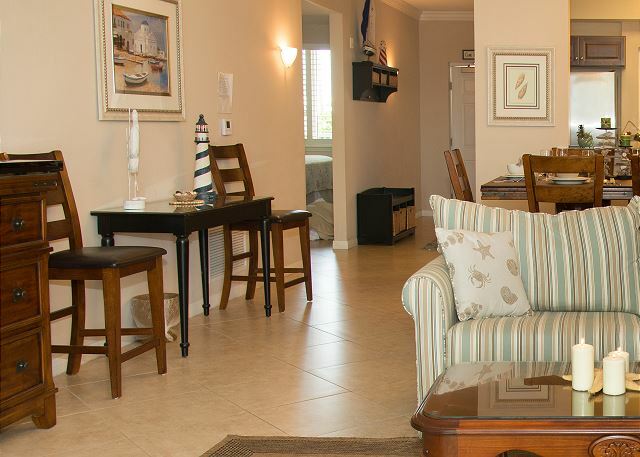 Great Condo - all around great experience. Dear Mr. Sims, Thank you so much for this excellent rating for Heron L-04! 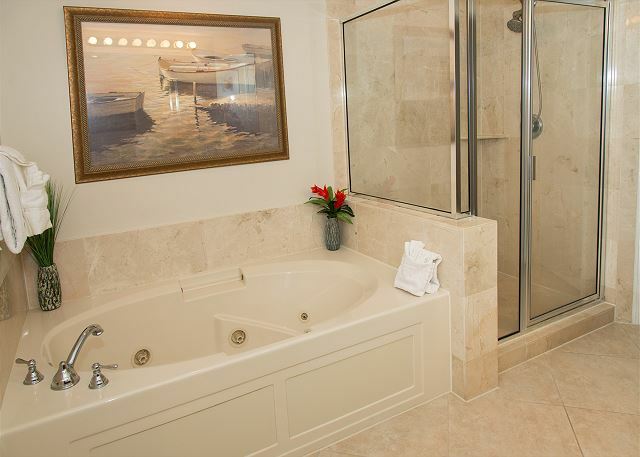 We'll be looking forward to helping you book your next stay! We have rented from these owners for the last 4 years. This was a new unit this time. We absolutely loved it!! It was nicely decorated, very clean and renting from them is always a pleasure!! Dear Ms. Durham, We love hearing from our returning guests! Its so important to us to provide the best services available! Heron L-04 is a new addition, and we're so pleased that you enjoyed your stay! We're already excited about helping you book your next vacation! 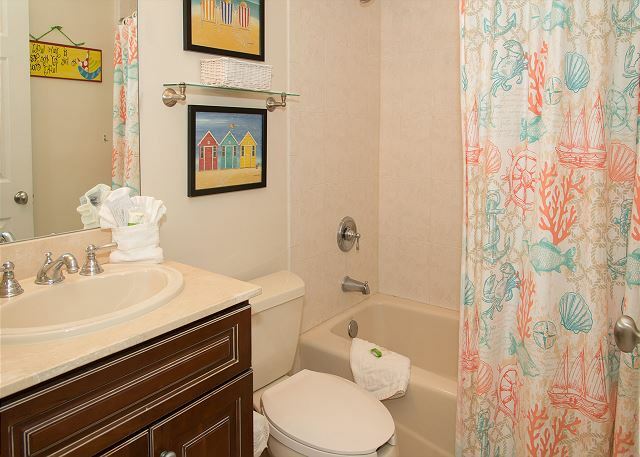 Great location with many amenities! Dear Mr. Moses, We're so grateful for your wonderful review! Thank you for recommending us to your friends and loved ones! 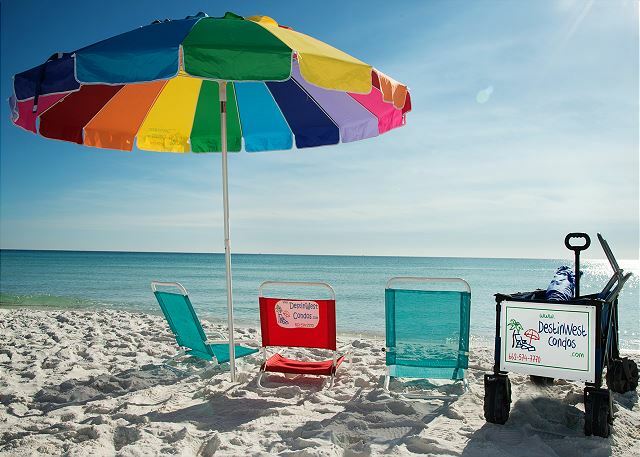 We'll be hoping to hear from you in the future whenever you're ready to put your toes back in the sand!